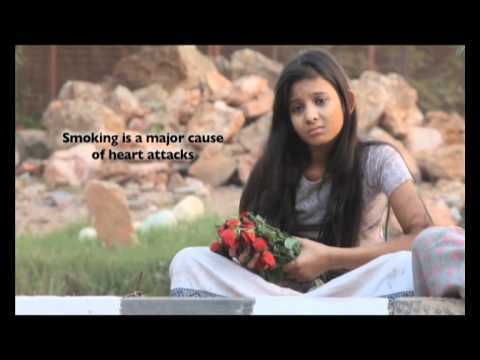 - Secondhand smoke is very dangerous to people that do not smoke. - Protect your loved ones by not smoking. The first of two public service announcements (PSAs) regarding secondhand smoke victim Ibu Ike Wijayanti, a mother of two from Surabaya who has been diagnosed with throat cancer. This ad is a testimonial from Ike, who never smoked. Her doctors say her cancer was most likely caused by exposure to SHS in the workplace. The cancer, and the surgery to remove the cancer, has left Ike with permanent scars but no voice. She urges people not to smoke, so their SHS doesn’t destroy the health and the dreams of the people around them. I suffer from larynx cancer. I've been exposed to secondhand smoke. I've never smoked in my life. Stop smoking, as you will kill the dreams of people around you. Owned and available from Vital Strategies.